This page shows the latest Aradigm news and features for those working in and with pharma, biotech and healthcare. The disappointing performance of the drug also promoted other inhaled insulin developers - including Eli Lilly/Alkermes and Novo Nordisk/Aradigm to discontinue their own programmes. . 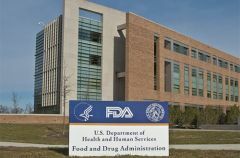 The problems faced by Pfizer also prompted Lilly/Alkermes and Novo Nordisk/Aradigm to discontinue their own programmes, despite reaching the phase III testing stage. Pfizer took a $2.8bn pretax hit on the product, and its demise also prompted other companies developing inhaled insulin - Lilly/Alkermes and Novo Nordisk/Aradigm - to drop their own programmes. Novo Nordisk developed the product with US drug delivery firm, Aradigm. 220. Therasphere/ BTG. Asset purchase. Treatment for liver cancer. 200. Aradigm/ Grifols . ... Licence equity. Inhaled ciprofloxacin phase III ready. 35 per cent of Aradigm ($26m). Other previous roles include CEO of Aradigm Corporation, VP of process sciences at Genetech.